The Irving-owned company contracts with P.E.I. growers for its needs but has come up short with a poor crop this fall. "Island potatoes come first and we are buying whatever quality volume Island farmers can supply," said Mary Keith, vice-president of communications for J.D. Irving Ltd., in an email to CBC News. "However, as CBC has reported in several stories, the dry summer and the early frost in September has meant the overall yield, size and colour of potatoes on P.E.I. are well below the average standard." So far Cavendish Farms has brought in more than 20 million pounds (nine million kilograms) of potatoes, which is more than in previous years, Keith said. And the company says it still needs to bring in more than 100 million pounds (45.5 million kilograms) of potatoes. Keith said the potatoes are being shipped from New Brunswick, Alberta, Maine and Idaho. "There is a significant additional cost to transport potatoes these long distances to P.E.I.," she said. "In a fiercely competitive french fry marketplace, these costs cannot be passed on to the customer. 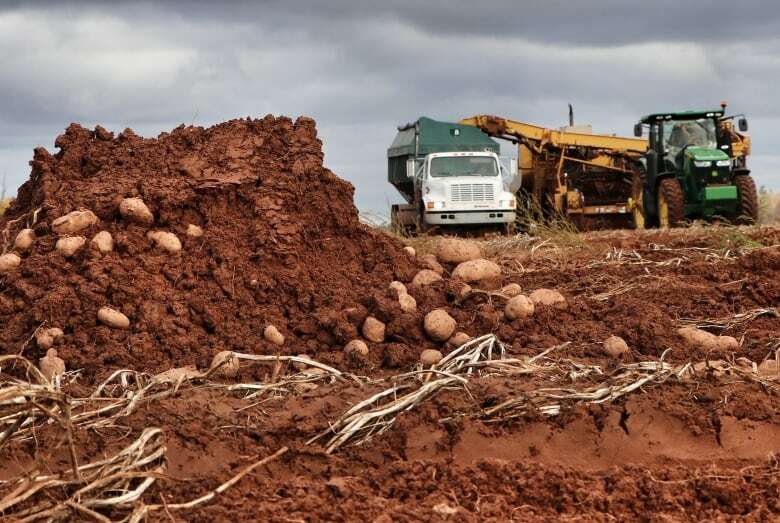 "What we know for certain is that this situation is not sustainable — for Island potato growers and the processing plants on P.E.I." "If the potatoes are not here, you have to bring them in from some place," said Kevin MacIsaac, general manager of the United Potato Growers of Canada and a former P.E.I. farmer who supplied potatoes to Cavendish Farms in the past. MacIsaac said he understands why the large plant has to import potatoes. "It's a tough one for the industry," he said, adding it would be nice if P.E.I. could meet the demand but the weather didn't allow it. "It's unprecedented so that means that we're short," he said. "The past season was a very hard one for Island potato growers," said John Phillips, a potato farmer who has a contract to supply more than six million kilograms (14 million pounds) of potatoes to Cavendish Farms. He said the quality of his potatoes is decent but he understands why the plant has concerns about supply. He said importing potatoes is a way to keep the processing plant going, and said he appreciates that it's expensive. "That keeps our markets for another year," Phillips said. 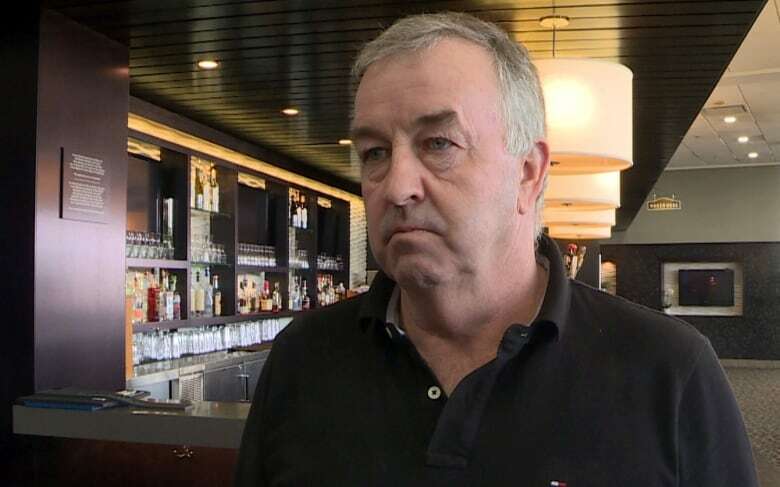 "They've got to keep the business going and they're importing potatoes to make it happen." He said he believes Cavendish Farms is committed to P.E.I. "This is an off year," Phillips said. "Next year may be a bumper crop." This year P.E.I. had a cold spring which delayed planting, followed by a hot, dry summer and a wet, cold fall. Island farmers estimated they left almost 2,800 hectares of potatoes in the ground last November, and production was down by eight per cent according to Statistics Canada. Other provinces also saw problems — Canada's overall production was down three per cent. The company has had to import potatoes before, including in 2017 when P.E.I. had a dry summer that lowered yields. Irving has lobbied the P.E.I. government to ease land ownership limits and to lift its moratorium on high-capacity agricultural wells for irrigation. "We hope that we can work with government, industry, researchers and society at large to generate good scientific evidence to support sound policy making that includes supplemental irrigation," Keith said in her email Tuesday. She added government and industry have to work together to find sustainable solutions. 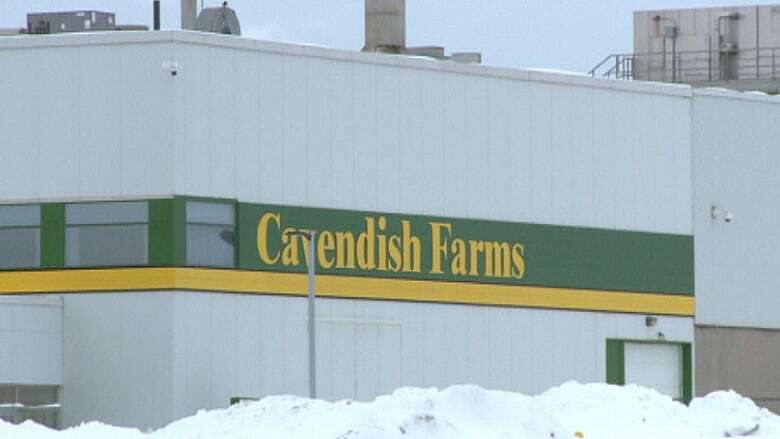 Cavendish Farms closed its fresh potato packaging facility in O'Leary last July, citing a shortage of potatoes. Even with the drop in production, P.E.I. was still the largest grower in the country last year with 21.8 per cent of the overall crop. As of fall of 2018 on P.E.I., 2,752 hectares of potatoes were left unharvested, while 6,475 hectares were unharvested in total in Canada.